Ruth brings over fifteen years’ of senior leadership, strategy, advocacy and communications experience in INGOs, non-profits and business associations across the UK, Australia and southern Africa. She is an active and dedicated advocate for social justice and equality - with academic qualification in social anthropology, she is passionate about understanding how change happens. She has specialised in labour exploitation, ethical consumerism, child protection, and international and community health. Ruth is Chair of Stop the Traffik Australia, and a member of Darebin City Council's Womens' Advisory Committee, Melbourne Women’s Fund and the Australian Institute of Company Directors. Annabel joined the team in March 2016 as our first Chief Operations Officer. With a background in communications, and several years of experience as a COO with Ovarian Cancer Australia, Annabel plays a key role in managing the operational activities of the organisation, strategic direction, organisational culture and developing policies and procedures. She is a brilliant copy editor and writer and has two adorable sons. Jen joined the team in April 2017 in a new role, managing and growing the doula support, education and research programs. Jen has worked all over the world in the past 10 years – in China, Vietnam, Thailand and Australia on migrant rights, women’s rights, community and political engagement projects for organisations like the United Nations, SBS Radio and TV and small NGOs with big hearts including International Women’s Development Agency. She is also a mother of three little ones. Having volunteered as a doula for the past year, Kristine joins our Programs team as a Doula Program Supervisor alongside Cath Wright. Kristine is a doula in private practice, a social worker and counsellor with skills and experience in cross-cultural practice, particularly supporting people from refugee and asylum seeker backgrounds, trauma recovery, and perinatal mental health. Her passion for supporting women comes from having been raised by strong women. 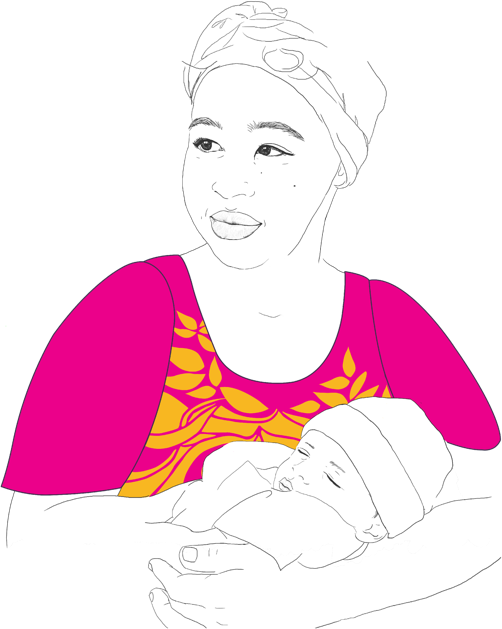 You can read more about Kristine in our piece ‘Every mother needs a village’ from World Doula Week. Beccah is a registered nurse and midwife with a Bachelor of Arts in History and Anthropology. She has a Masters of Public Health from the University of North Carolina and recently founded mAdapt a mobile health intervention designed to improve reproductive health access for refugee populations. She is passionate about reducing health disparities and promoting respectful maternity care. Her hope for birthing women worldwide is that all women are able to experience a dignified and respectful birth that gives them the confidence to be a strong and compassionate mother. Cressida has more than ten years experience in fundraising and communications in the not-for-profit and social-enterprise sectors. Most recently Cressida has worked for Care Australia and Be Collective in corporate partnerships and business development. Cress is a long-term women’s empowerment advocate, excited to channel her life and work experience into raising awareness and funds for our work. A hopeless people person, Cress is passionate about facilitating meaningful conversations and connections to inspire positive change. She is also a mum or two and a yoga-holic. Kester joined the team in January 2016 and plays an integral role in ensuring the Birth for Humankind office functions effectively and efficiently. Kez is responsible for managing and maintaining the systems, processes and administration of the organisation to meet the expectations and needs of clients, volunteers, staff and the Board. Kez has a huge passion for birth work and supporting women, with a deep understanding of the role of doula having received support during the birth of her daughter in 2010. Cath is a registered midwife with a strong woman centred philosophy and a focus on the provision of information to facilitate informed decision-making for each woman. For more than a decade Cath has worked both clinically and in the academic setting. Her clinical experience includes The Women’s, MAMA midwifery practice, Northern Provincial Hospital (Santo, Vanuatu) and The Northern Hospital. Cath comes to Birth for Humankind because she believes our organisation fills an important gap in maternity services. Prior to becoming a midwife Cath completed doula training with Rhea Dempsey and more recently has completed a postpartum doula course. She looks forward to utilising her skills and experience to support our team to assist women to access appropriate care and support. A talented graphic designer, Sue volunteers her time to support the organisation’s marketing and communications and is responsible for all the beautiful graphics you see. We have a team of 45+ volunteer doulas who speak more than a dozen languages between them. They’re compassionate and dedicated women, registered and retired midwives, student midwives, and doulas working in private business. Our volunteers are the heart of our organisation, and without their support our work would not be possible.